Silver queen corn is favored by many gardeners as the most tender and tastiest of all. 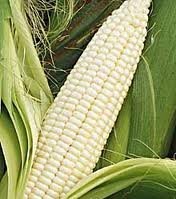 Ears of plump, snowy white kernels are prepared and served as regular sweet corn, and may be frozen or canned. 60-90 days to maturity. Great disease resistance. Large ears.